From inception to completion and beyond, M Powell Building Services Ltd offer a single point of call for all types of masonry projects. Having the right team sets the foundation for any type of stonework project. As experts in stone with well over a centuries combined experience under our belts as well as an enviable portfolio of projects for private clients already to our name, M Powell Building Services Ltd have become recognised as one of the leading masonry companies in and around south Wales. 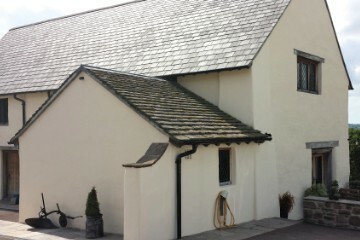 Operating from our Abergavenny base our specialist team of stonemasons undertake works varying from minor mortar repairs and decaying stonework replacement to boundary walls, retaining walls and large scale projects such as stone cladding to houses & extensions as well as restoring masonry facades to barn conversions and other period properties. Primarily undertaking masonry contracts within the south Wales area, throughout Monmouthshire, Gwent and within the cities of Cardiff and Newport, our stonework can also be found further north within the Brecon beacons and Powys and to the east over the border into Herefordshire. Accommodating projects of all sizes, M Powell Building Services provide a customer centred, professional masonry service. Whether your project is to restore a property, construct a new residence, incorporate stonework in to a landscaping design or simply to repair masonry units such as lintels and cills within an existing structure, we have the knowledge and expertise to carry out your desired project. 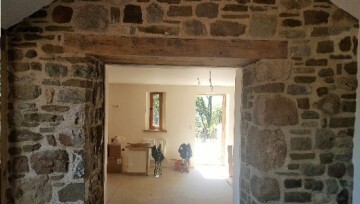 Our tradesmen are passionate about what they do, our stonework whether it be new walling or restoring existing stone walls is always completed to the highest standard with exquisite attention to detail. We can be with you every step of the way, from your initial idea right through to completion, working closely with architects and planners throughout your project. 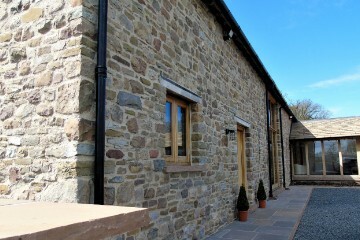 Our knowledge and experience within the masonry sector is second to none, giving you complete peace of mind. M Powell Building Services Ltd is accredited by Chas, Smas and Constructionline approved. Our directly employed trades people are trained and fully qualified masons. Gaining NVQ’s and City and Guilds qualifications. 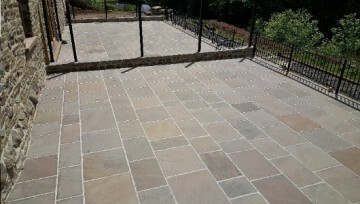 We have a unique network of suppliers supplying our projects with local sandstone, limestone and pennant as well as traditional lime mortars. From cladding a new build house, constructing a new retaining wall, restoring a house façade or undertaking general masonry maintenance our teams of qualified, time served stonemasons provide a wide range of services on projects both large and small. With extensive knowledge and experience in the construction industry, our team of fully qualified tradesmen guarantees the highest standard of workmanship. We’re a fully insured company providing our customers with complete piece of mind. We offer free 'no obligation' quotations to all potential clients at competitive prices coupled with our guarantee of high quality workmanship. We provide a comprehensive service from your initial enquiry right through to completion of your project. Whatever your requirement, we’re ready to help, if you have a question, query or a project you would like us to take a look at, please get in touch!